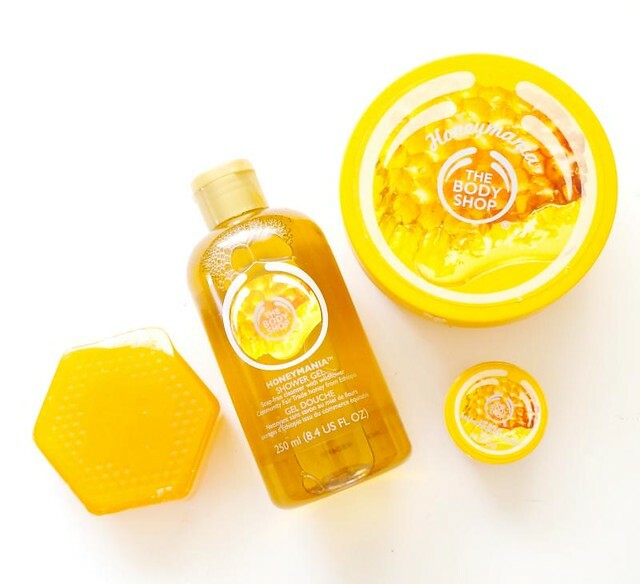 I felt like a bee drawn to honey when I opened the latest package from The Body Shop just the other day. The smell was so intoxicating, so sweet, so yummy - I just had to use the new Honeymania products immediately! This new collection includes the Body Butter, Lip Balm, Soap, Shower Gel, and Eau de Toilette. I suggest you get everything if you like to layer and intensify scents. The Honeymania fragrance isn't your traditional syrupy honey; it's actually quite floral, since the bee-goop was supposed to be harvested from wildflowers in Ethiopia. The honey is just the base here and not the main note of the fragrance. It's not at all what I expected but I love it! On to the products. 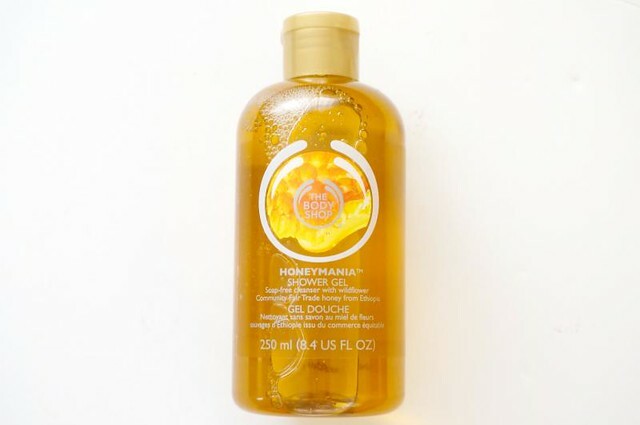 The Honeymania Shower Gel is my top pick because it makes my bathroom smell like a sweet floral paradise. I also like that it lathers easily and thickly, without me having to use too much in one wash. It's also non-drying on my skin even though it's a gel. 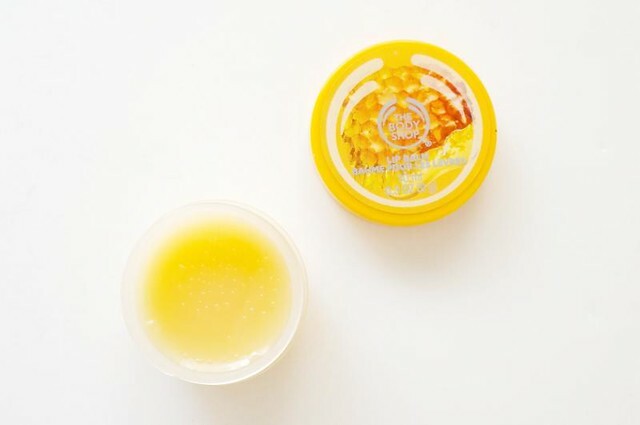 After showering with the gel, I like to moisturize with the Honeymania Body Butter. This is the one that'll seal in that honey-floral goodness so use it liberally, especially on your pulse points and dry spots. I swear, after the gel and the butter, I already skip spritzing perfume. The scent lasts for about three hours on me even though it can get pretty humid. 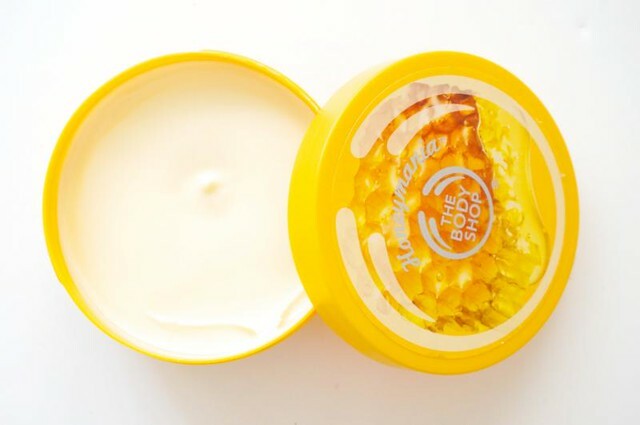 The TBS body butters is kinda greasy to the touch, but just allow your skin ample time to absorb it before sweating it out outside. 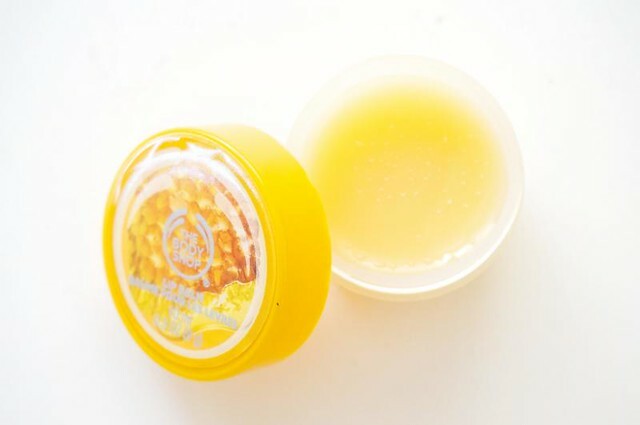 Last but not the least, here's the Honeymania Lip Balm! (Sorry I really like to say "honeymania". Honeymania!). Oh, this takes me back to college. I remember this balm (in Raspberry) being one of the first balms I tried. The TBS lip balm is already a cult classic because of it's thin yet moisturizing texture. With the new fragrance, this'll keep your smackers smelling yummy every time you re-apply. Now I like this line because I like fab-smelling skincare, but if you're the type who prefer unscented/gently-scented body care, then obvs this isn't for you. The Honeymania line is really intense, in a good way (for me). I will definitely continue using everything from the line! Thoughts? What's your favorite Body Shop scent?